Read Sarah - What Happened to Sarah? 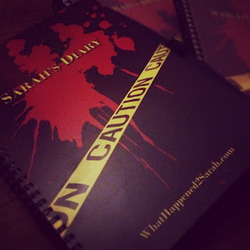 Sarah's Diary was discovered in a home among the gruesome carnage of three badly decomposed bodies. She was nowhere to be found. Many years have passed since those horrible murders took place and now her story has been released to the public for review. Some question if Sarah is real. Some question the accounts detailed in the diary. All wonder what happened to her.